BOSSIER CITY, La. 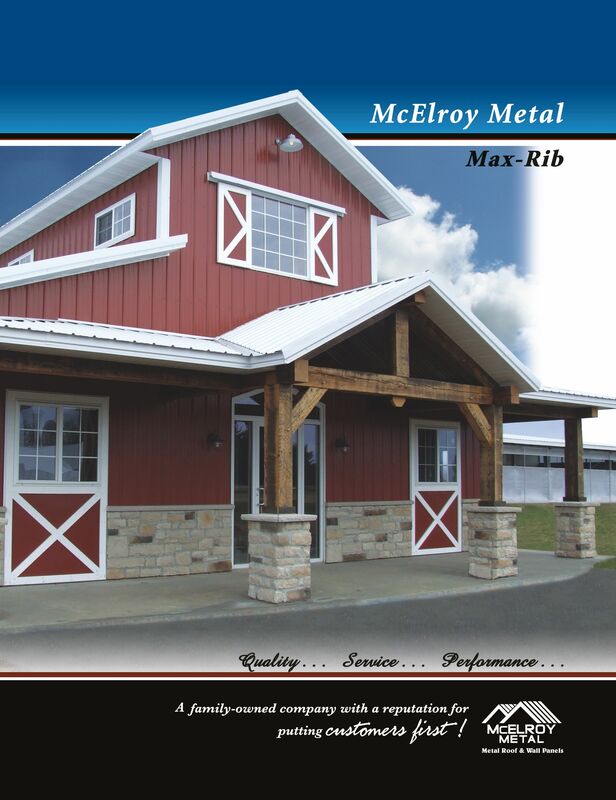 April 15, 2015 – McElroy Metal has updated the brochure on one of its most popular through-fastened metal roofing panel profiles, Max-Rib. Available in four options, Max-Rib provides the best choice for project needs, depending on desired longevity, aesthetic appeal and budget. Max-Rib Ultra is manufactured from a Galvalume substrate with a PVDF coating for unsurpassed performance in a light-gauge panel. It combines the long-life performance of a Galvalume steel substrate with a fade and chalk resistant PVDF-based Fluropon paint system. Max-Rib II has a Galvalume substrate with a siliconized polyester coating to provide an excellent multi-purpose metal panel. Max-Rib 100 features a galvanized G100 substrate with a siliconized polyester coating and Max-Rib Commodity is a non-warranted economical panel, ideal for basic shade and shelter applications. To download the brochure, visit the McElroy Metal website at www.mcelroymetal.com.